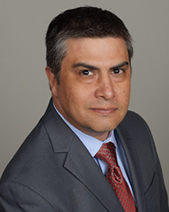 Dr. Oscar Corral is a native of West Texas and fulfilled his Podiatry education in New York City. Corral and his family moved to the Rio Grande Valley 10 years ago. They enjoy: going to the Beach; visiting the local parks; fishing; kayaking; playing video games; and most of all, spending time with their dogs. Corral and his family live in McAllen and he has privileges at most of the local hospitals in the McAllen and Edinburg area as well as Mission. He is board certified by the American Board of Podiatric surgery and the American Board of Podiatric Medicine. Dr. Corral is highly trained and specializes in all aspects of Podiatric Medicine including adult and pediatric foot surgery and rehabilitation, adult and pediatric foot and ankle pain, and diabetic foot treatments including surgery. Dr. Corral is caring, compassionate, and understanding of his patients' needs and problems. He takes the time to explain diagnosis and available treatments.